Like the best fairy tales, The Cinderella Story has a happy ending. 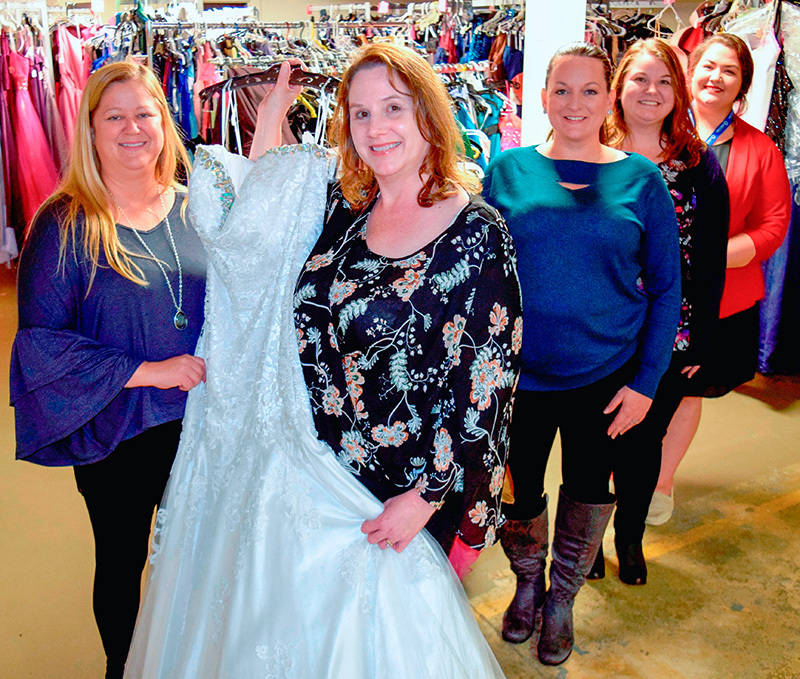 The local charity that ensures young girls in financial need get a free prom or grad dress has been rescued by Sarnia-Lambton Rebound. The Cinderella Story, started 10 years ago by Petrolia-area resident Debbie Anderson, was about to fold after Anderson resigned to devote her time to other causes. Anderson had tried to implement a succession plan but, when it appeared to fail in September, she made a last ditch effort to reach out to the community for help. Her final call for support produced an astonishing three groups and 48 individuals willing to take the project on. Anderson said she couldn’t be more relieved. “When Rebound’s board agreed I could barely respond. I am so excited,” she said. Sarnia-Lambton Rebound, which helps at-risk youth and has been a drop-off location for Cinderella Story’s donated dress, seems like the ideal solution, according to Anderson. “I put my heart into this for 10 years and it feels so good that the legacy will continue.” About 625 girls have benefited already. A number of the cash-strapped girls who have tapped into The Cinderella Story – receiving everything from gowns to shoes to jewelry – also participate in Rebound programs. Katlyn Britton co-ordinates the girls’ mentoring program at Rebound and will take the lead on the renamed Cinderella Project. There are about 1,200 dresses in Cinderella Story’s inventory but donations and sponsorship support are still welcome. Rebound plans to continue the tradition of the Cinderella Story’s spring boutique where girls can choose their dresses and accessories. Details of the event will be announced at a later date.